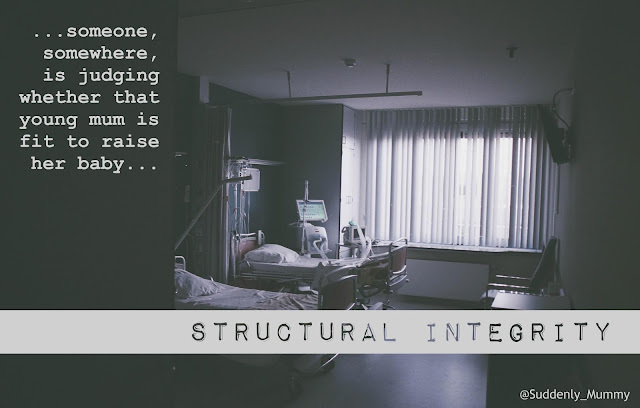 "The parent can see that although the child is very angry and is throwing his chair about, it is a small, light chair, there is no one else in the room and the danger is minimal." If yours is the sort of family where a bit of light chair throwing occasionally (or frequently!) features in your day, you've probably read a lot of books, been on a number of courses and joined your fair share of social media and real-life support groups. Adoptive and foster parenting will do that to you. But, if you've been in the game a fair while, you might have reached the stage, like me, where if you see that blooming attachment cycle printed in a book, badly photocopied on a handout, or displayed on a Powerpoint one more time, you might just spontaneously combust, because, let's face it, once you've read one chapter on attachment, you've read them all. 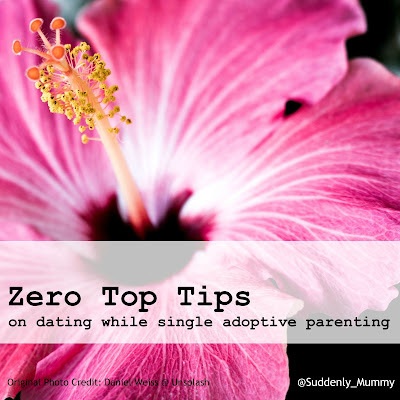 For this reason, apart from a few staples that I go back to again and again, I've more or less stopped buying books on adoptive and foster parenting. I get attachment. Honestly I do. I reckon I could write the chapter myself these days. What I need in my life is a sympathetic guide, some practical advice, and some realistic strategies. So why did I get this book at all? And why am I reviewing it on my blog, which is something I very rarely do? 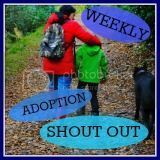 Well, I heard the author, Sarah Naish, speak at a conference a few months ago, and was impressed by her down-to-earth approach to discussing what she had learned from her extensive lived experience in adoptive parenting, fostering and social work. 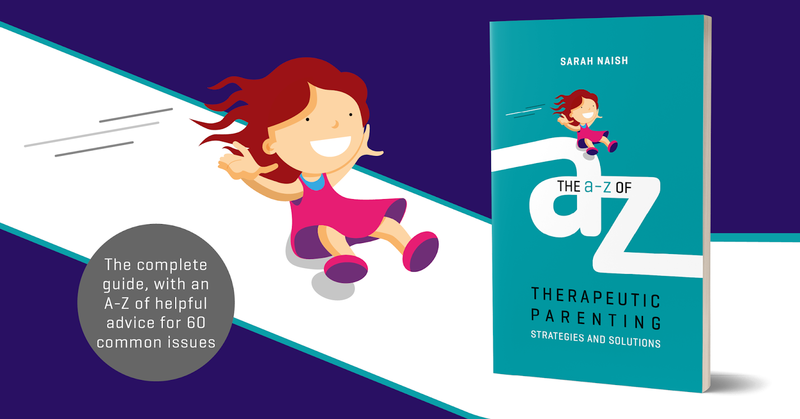 Also - and I'm being really honest here - I was attracted by the A-Z format and imagined that I could skip over all the inevitable chapters on attachment and just pick out the bits I wanted from the A-Z part! Imagine my pleasure and surprise then when, flicking through the opening chapters, I didn't catch a single glimpse of the dreaded attachment cycle diagram. Instead I saw intriguing sub-headings like 'Blocked trust', 'Lack of cause-and-effect thinking', 'Hypervigilance' and 'Fear of invisibility'. Here is a book that goes beyond explaining attachment, and instead recognises that attachment difficulties (which are definitely important, and I wouldn't mean to suggest otherwise) are actually part of a whole catalogue of challenges that will face children impacted by trauma. Far from skipping over the opening chapters, I read them with relish, recognising children I have cared for in several of the descriptions in chapter 1, and grateful not to get the "Oh, it's attachment" gloss that I sometimes feel is inadequate to explain the breadth of challenges adoptive and foster families are facing. Like many adoptive parents and foster carers, I am familiar with the term 'Therapeutic Parenting' as a way to describe a particular approach to parenting children who have experienced trauma, neglect, abuse and loss. I'll admit, though, that my understanding has been limited to knowing Dan Hughes PACE model, and my practical experience has been less than stellar up to now. I'm rubbish at Playfulness, it turns out, and not too great at Empathy either. My Curiosity is too often rebuffed, and I began to fear that Acceptance really meant that I needed to accept that I was going to be treated like a doormat on a regular basis. While it looks great in theory, I just couldn't rise to the challenge of putting it into practice. Naish's presentation of it gives me new hope. For a start, she gets in there pretty quickly with the need to establish strong, consistent and clear boundaries. Thank you for that, Sarah. Then she adds a new mnemonic - PARENTS. I won't describe it all here (buy the book!) but it gives a process to work through when incidents and situations arise. I feel like I need the support of a model that says "Try this. Then try this. Then do this." I'm looking forward to trying it out. 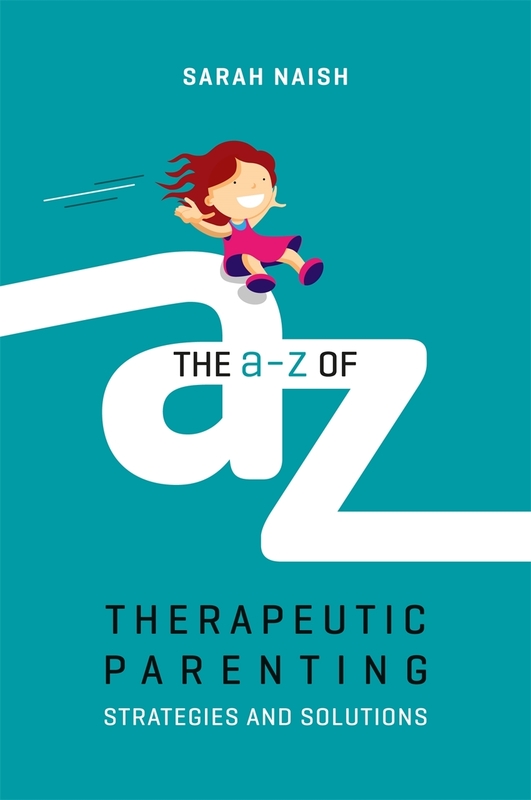 The A-Z section covers 60 situations or behaviours that can commonly arise - things like stealing, nonsense chatter, homework, disorganisation, rudeness and sibling rivalry. Each section describes the behaviour, gives reasons why it might be happening, and gives a range of practical strategies. 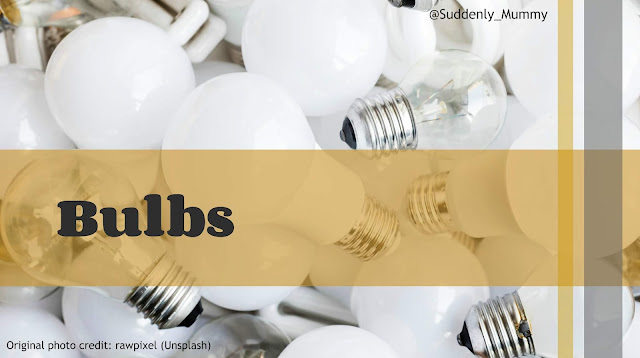 I haven't read every single one of these but I did make a beeline for things that are regular features in our house, and I immediately had a few light bulb moments. Raised cortisol levels lead to craving sugar! Who knew?! Well, probably everybody except me but, now I do know, quite a few things have clicked into place. Above all, what I value about this book is the voice of the author. She is pragmatic, down to earth and approachable. She has raised five adopted children and it's probably this lived experience that means she avoids the trap so often fallen into of giving advice which assumes parents and carers are basically robots with no needs or feelings of their own. Sometimes we shout, sometimes we lose it, sometimes we are tired or grumpy or hormonal. It's ok. Repair and move on. The only thing I would have liked this book to have which it doesn't have is a handy list of all the topics covered in the A-Z part for ease of reference. Mind you, I've got a paper copy - the electronic version would probably solve that. Other than that, it's great, and I'm truly glad I bought it! DISCLAIMER: JKP, the publishers, did offer me a review copy of this book. Unfortunately for me, I had already bought my own copy! So this is my own review of my own book bought with my own money.